Spectacular sunrises and sleek design define three-bedroomed Villa Abiente; an ideal destination for those seeking a modern escape off the beaten track. 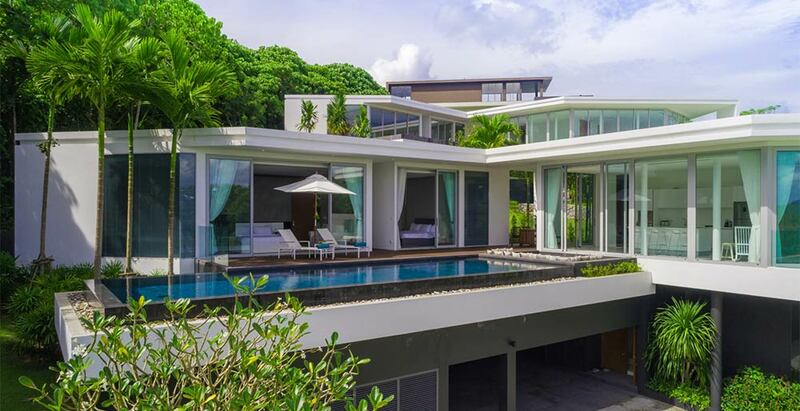 Set within the Baan Yamu luxury estate on Phuket’s scenic Cape Yamu, Abiente is a sea-view haven with a 12-metre private pool, chic ensuite bedrooms and bright living areas. Enjoy delicious Thai cuisine prepared by your private chef, and settle in for a lavish stay surrounded by modern comforts and cared for by a skilled staff team. Available within the estate are an Olympic-sized pool, gym and restaurant, while more dining, spa and leisure choices are within easy reach.